This is the very first novel that I’ve read by Sue Miller. I think she’s known for writing about women and relationships. I was really surprised to say the least. There was a scene that knocked me off my seat. I just couldn’t believe it. I would have never thought of it. In spite of everything, the first half of the book was a bit of a bore. There was a lot of character development, which was useful but slowed the story down. Around the middle of the story I became more interested. I didn’t like any of the characters because they are all extremely flawed. Meri is a snoop and very unsure of herself. Delia is overly confident but naive in love. Nathan is insensitive and arrogant. Tom the senator is self-centered, egotistical philanderer. Meri and Nathan are a young couple house hunting for their new home. They decide to buy the old house that they are looking at and it happens to be connected to Delia’s house who is the senator’s wife. From the moment the couple moves in, their lives connect with Delia’s to transform each other forever. I’m not sure I understand what Sue Miller is trying to say in this book but it’s not very feminist if she is. Actually, I suspect she is just trying to give a point of view about relationships. For one thing, the novel is very well written. I learned a few new vocabulary words. I’ll be cautious to choose another Sue Miller book though. I’ll ask my avid reader friends to steer me to a really good one or just read The Good Mother (the one that’s often mentioned). 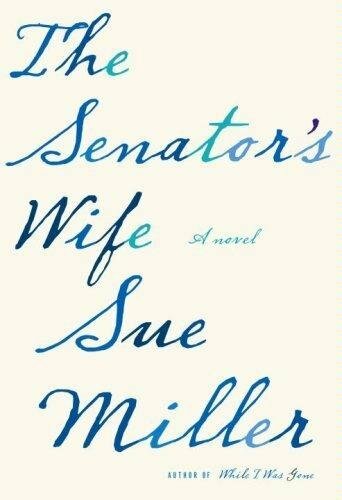 Sue Miller published her first novel in 1986, The Good Mother. Since she was a single mother, she didn’t have much time to devote to writing; although now she’s made up for that after publishing ten books and two of them have been adapted to film – The Good Mother (1988) and Inventing the Abbotts (1997). She is now a professor teaching creative writing classes at Smith College.